RJFC sticker # 73 was completed using a large, 1999 vintage, blue-top, Priority Mail label 228, on December 29, 2015 while sitting at (what used to be Joffrey’s Coffee shop at the corner of 15th Street & E. 8th Avenue in Ybor City (Tampa), Florida. This sticker was donated for auction to help artists Ryan Plunkett and Erin Brooks who had a terrible house fire. 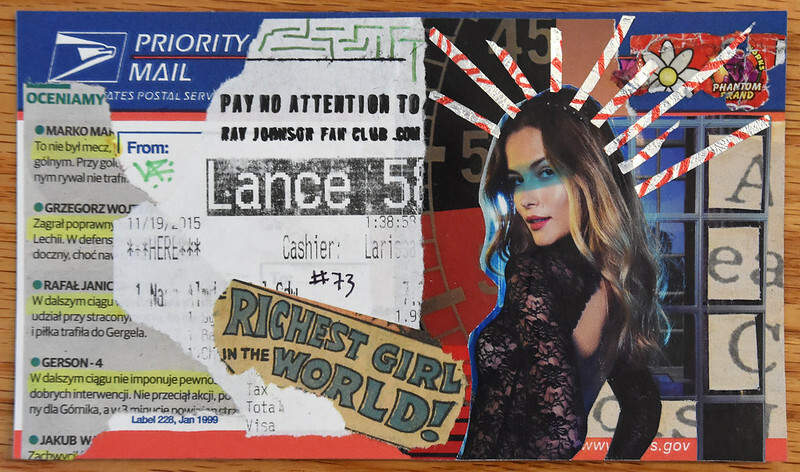 “Add On at $80 Labeauratoire Gallery Sticker Pack including 1 – Original handmade collage bluetop sticker by Ray Johnson Fan Club – Collage by L.A.R. 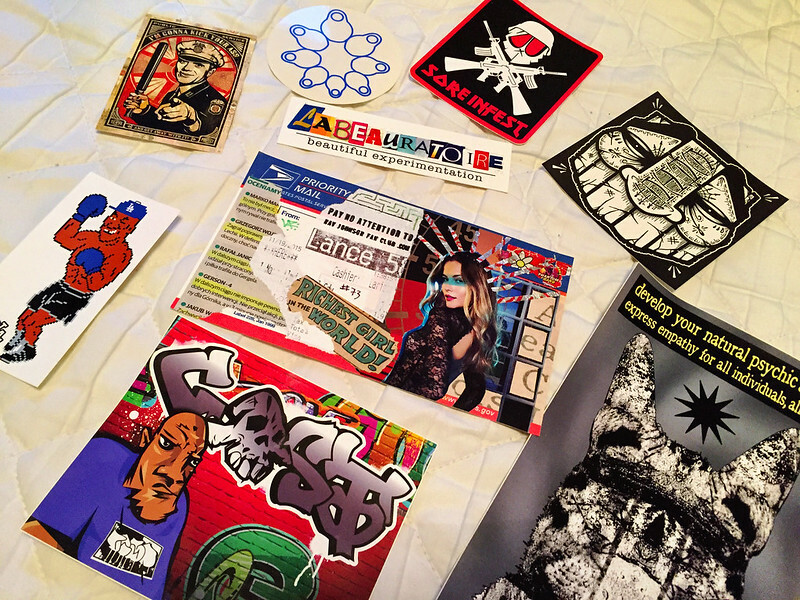 PLUS 8 other stickers by GATS, Sara Conti, Sore Infest, BPLA, DintWooerKrsna, CistOnes and Obey Giant.” – We helped raise hundreds of dollars with this auction.